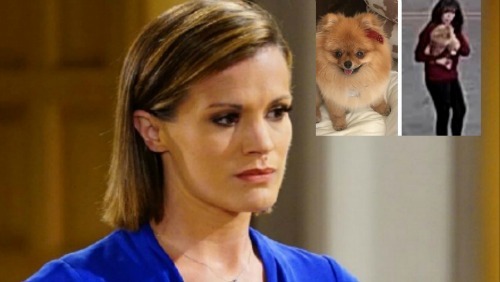 The Young and the Restless (Y&R) spoilers reveal Melissa Claire Egan, who portrays Chelsea Newman on the CBS soap opera, has taken to her social media accounts on both Instagram and Twitter, with a plea to her followers and fans for help – someone has stolen her friend’s beloved dog from their home recently. There is a sweet photo of a tiny tan pooch named Chucky a woman dressed in black pants and a red sweater walking from the house, caught on the surveillance camera. The family pet was stolen Sunday afternoon, January 21 around 4:48 pm PST from the Beverly Hills house on Hillcrest Road. CDL Y&R spoilers hope everyone shares this information and Melissa Claire Egan is able to help reunite this tiny fur baby with his family soon! The Young and the Restless spoilers tease that Chelsea Newman had most recently been seen at a party at Sharon McAvoy’s (Sharon Case) house, that quickly turned into an awkward situation when Abby Newman (Melissa Ordway), along with Mariah Copeland (Camryn Grimes), Tessa Porter (Cait Fairbanks) and Phyllis Summers (Gina Tognoni) showed up and Hilary Curtis (Mishael Morgan) forced all the women to air their grievances over several glasses of wine. Chelsea sure seems to have her life in order these days, although things could go very wrong very quickly. Nick Newman (Joshua Morrow) continues to hide the fact that his father, Victor Newman (Eric Braeden) was the one who brought Chloe Mitchell (Elizabeth Hendrickson) back to Genoa City, resulting in Adam Newman’s (Justin Hartley) death. Meanwhile Chelsea has a doozy of a secret as well – She knows that Christian is Adam’s biological son and not Nick’s! Victor has been holding this secret over her head for a while. As Chelsea and Nick continue to build a future together, will they be able to hide the truth forever? Be sure to tune into CBS’ The Young and the Restless (Y&R) to catch up on everything happening in Genoa City right now. Check CDL The Young and the Restless Spoilers often for updates, news, and spoilers! Surveillance of the woman taking my dog from my driveway today. She is chipped and has a tag on “Chucky”. A reward will be given! 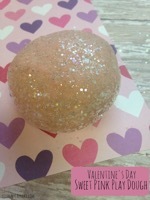 she was donated from @parishilton @kathyhilton @bettysyorkies for the MS foundation. Choo Choo is registered under Charlie Williams on her microchip! Please help us find her.